When you’re enjoying that beautiful arrangement in your garden, eating some of those succulents isn’t the first thing on your mind, right? 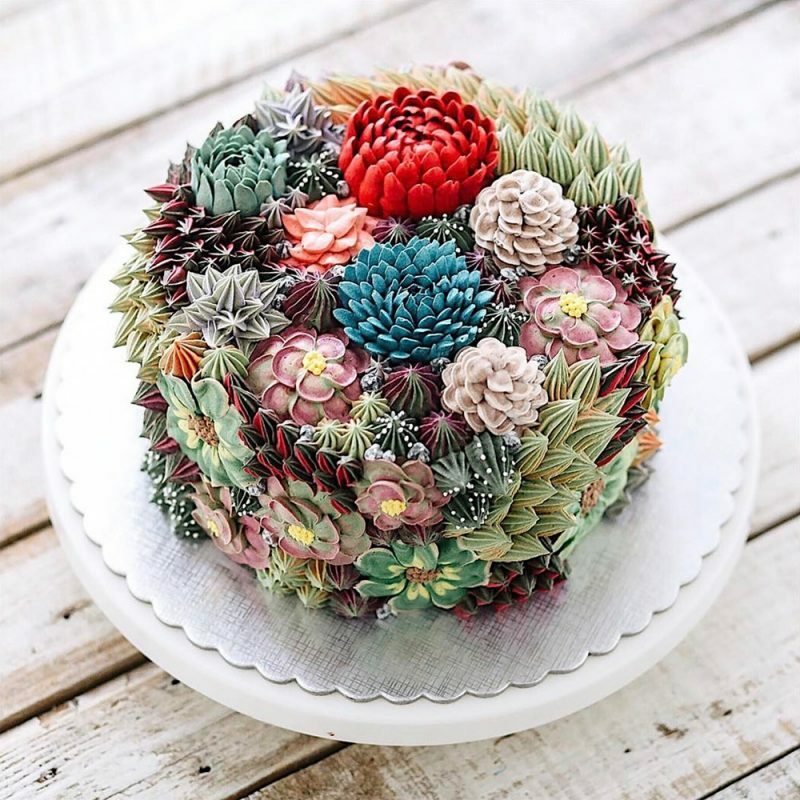 Truth is, a lot of succulents are edible. Even more, in some cultures, they are very common on a plate. Here are some type of edible succulents and some ideas on how to serve them. You surely know about this one already. Aloe can do a great job with treating burns, cuts, and rashes. it can also work like a skincare product if you cut leaves and use a gel that’s inside. But, have you ever tried it in some dish? The best way to consume aloe is to peel off the outer leaf and use the inner, gelly part in smoothies or some other drink. You can also chop some aloe in a salad to make it more exotic. If you want to get rid of that slimy texture, just soak leaves in water. Aloa can benefit your health in a lot of ways. It contains a high level of antioxidants, vitamins C, E, B1, B2 and B6, and folic acid. 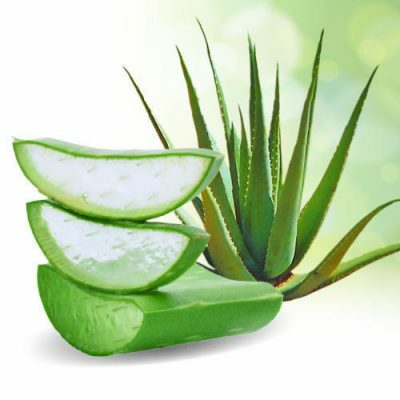 However, be careful with the amount you consume, since too much of aloe can harm your kidneys. 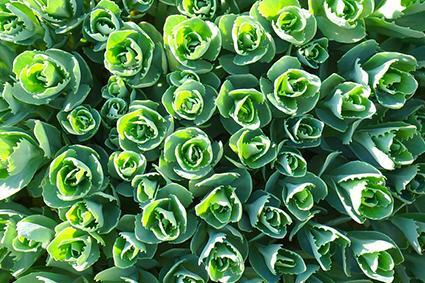 This succulent is gaining popularity and it can be found more often in grocery stores in the last few years. If you’re a fan of cooking shows, maybe you noticed a lot of chefs using it in some dishes. 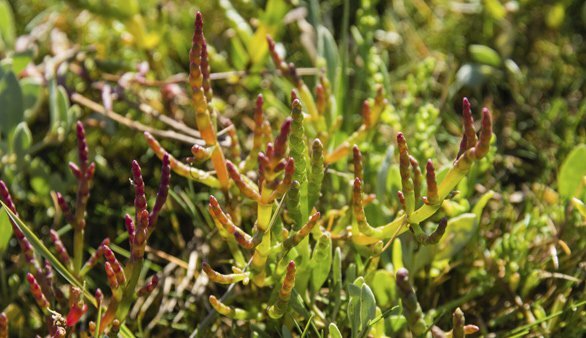 Salicornia grows on sandy beaches and salt marshes, so it’s pretty common in the wild too. You can eat “the beans” raw or fry them in a pan. They taste similar to asparagus and have the almost same texture. If you’re turned down by strong sea salt flavor, just give them a quick blanch. Sea Beans are packed with protein, iron, iodine, and calcium. Besides being in a background of every Western movie, Saguaro can be a very tasty treat. Some tribes in Mexico and Arizona use it for centuries to make syrups, jams and even wine. The edible part of a plant is a fruit that is produced by those beautiful white flowers. This fruit contains bright red, sweet pulp and black seeds that have nut- like flavor. You can use the pulp to make a salsa or even bake some cookies with it. Saguaro will give you some vitamin C, B12 and a lot of fiber. This is another succulent wildly popular in Mexican restaurants. You may know it like “nopales”. It has a natural flavor similar to green beans and the texture is little chewy. Its fruit is also used in Mexican kitchen a lot. They call it “tuna”, or prickly pear stateside. They taste like watermelon bubblegum. You can use leaves of Opuntia to grill them or just boil them and use them in soups, salads, salsa or tacos. When it comes to fruits, just peel them and you can eat them raw or make some juice. 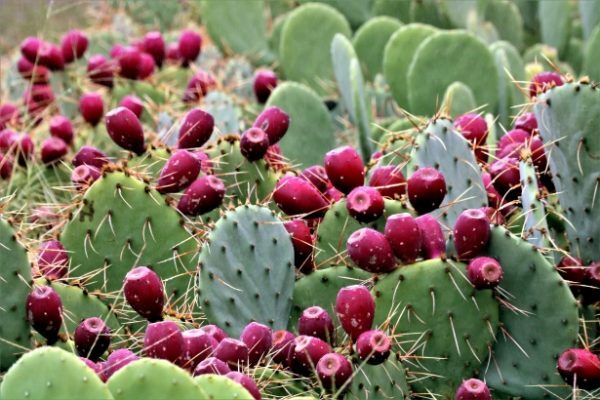 Opuntia is a great choice if you’re on some diet, because of its low in calories, and high in fiber and vitamin C.
You would never think you can eat something this spikey? Well, Barrel Cactus is actually really edible. Those red flowers produce yellow fruit that looks a lot like miniature pineapples. 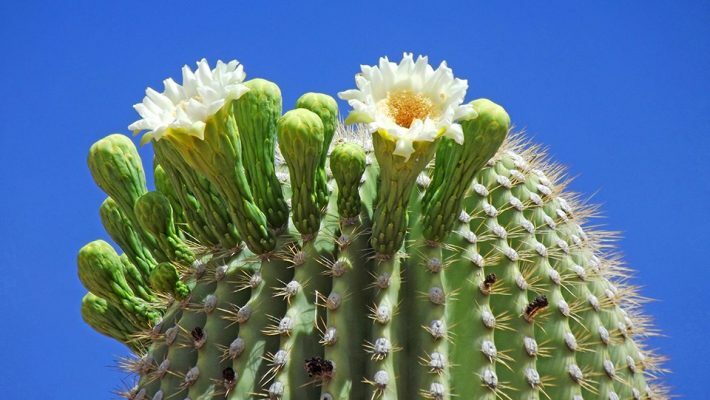 This cactus was widely used by Native Americans, who ate fruits and even flash of the plant. While flash doesn’t have great taste, fruit can be delicious. It has slightly slimy pulp and black seeds and you can eat it right of the cactus. It tastes something between lemon and kiwi. 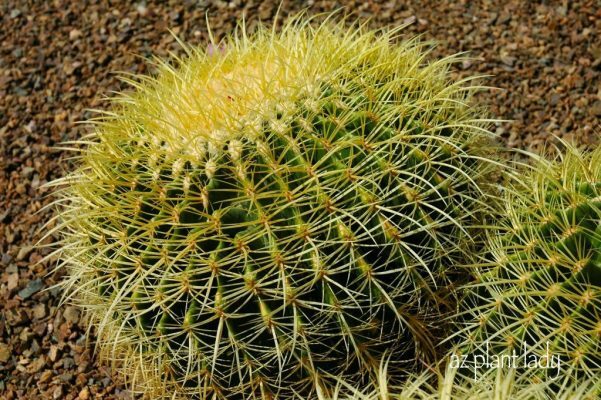 Barrel Cactus is packed in vitamins C and A. 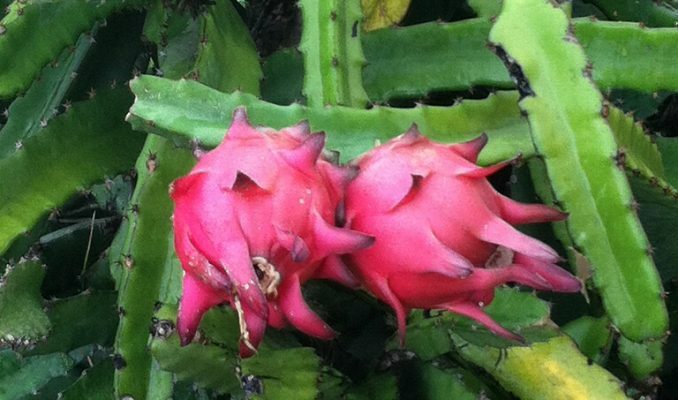 Did you know that Dragon Fruit (or pitaya) grows on a cactus? This fruit actually grows on a night- blooming cactus called “the queen of the night”. This fruit looks breathtaking with this bright pink, almost candy-like color, but it tastes pretty mild. Its similar to kiwi or melon. You can eat Dragon Fruit by simply slice it and scooping the white pulp. You can also add it to shakes or smoothies to make them fresher. Dragon Fruit is incredibly healthy. Its high in protein and has low calories. Its also packed with vitamin C, iron, protein, calcium and fiber. This succulent has over 600 species. Leaves have a bitter, peppery flavor. A lot of chefs are use+ing it in stir-frys and salads. Anyway, be sure you don’t consume too much of it at once because it can hurt your stomach. You can solve a buttering problem by quickly frying in a little bit of oil. Red flowering leaves, tubers, and stems can be eaten raw in salads. Be careful with yellow ones, because they can be slightly toxic, so you need to cook them first. Some believe Stonecrops can lower blood pressure and relieve coughs. They are also used in alternative medicine for cuts, burns, and hemorrhoids. 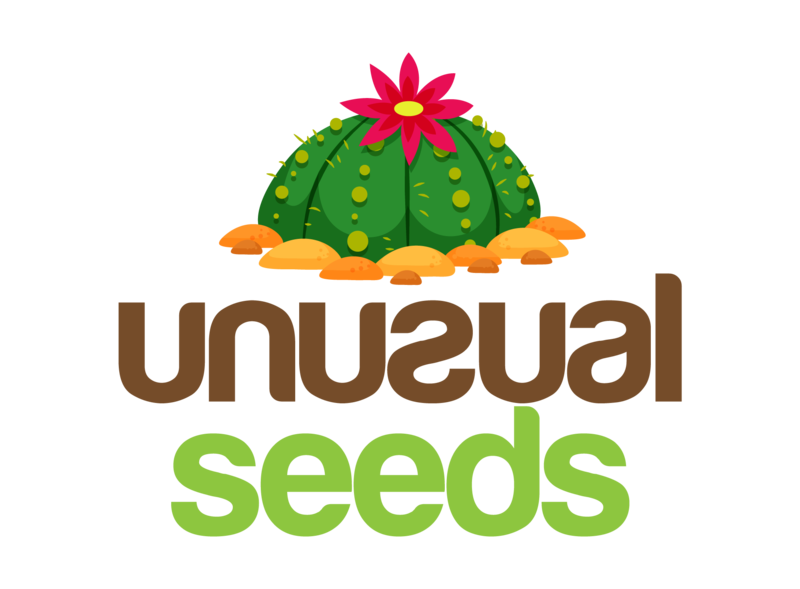 This entry was posted in Succulents and tagged Cooking, Eat, Healthy, Succulents.